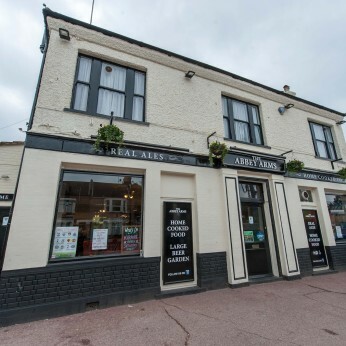 Serving a wide range of ales, beers, a large selection of wines and prosecco. We host regular events every week from our popular quiz night to great live music at the weekends. Our new food menu will be coming soon, offering traditional yet exciting dishes seven days a week. We have a pool table, darts area, plenty of parking and a pleasant beer garden with a children's play area. All are welcome at The Abbey Arms, we look forward to seeing you soon.